RIOJA was a proud participant in an episode of ABC’s The Bachelorette. The episode featured the breathtaking wine region of Spain as the remaining suitors vie for the affection of Bachelorette, Rachel Lindsay. This first of this two part episode of The Bachelorette aired on Monday, July 24th, 2017, on ABC. 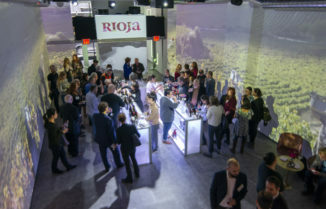 “We couldn’t be happier in our partnership with The Bachelorette as we take America on a romantic journey through Rioja, one of the greatest wine regions in the world, through its rolling vineyards, stunning architecture and medieval villages,” said Ricardo Aguiriano San Vicente,Director of Marketing and Communications, Consejo Regulador DOCa Rioja. Rachel Lindsay, a fan favorite on Nick Viall’s season of ABC’s hit romance reality series “The Bachelor,” is continuing her journey to find Mr. Right and assume the rose-giving duties as “The Bachelorette.” The 32-year-old attorney from Dallas, Texas has gone through trials and tribulations of falling in love in the past, but now it will be her turn to “investigate” a group of wonderful men and find her soul mate. Winning in court has never been a problem, but finding that great love is a case that unfortunately remains open. Follow Rachel’s journey to find “the one” on the hit romance reality series The Bachelorette, Mondays (8:00-10:00 p.m., ET/PT) on ABC. 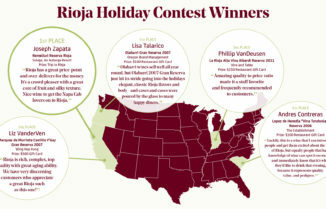 Download free materials here to promote the Rioja region and the Bachelorette. Located in north central Spain, Rioja is considered one of the greatest wine regions in the world. It is a one-hour drive from Bilbao, the capital of the Basque region and home of the Frank Gehry-designed Guggenheim Museum, and San Sebastían, one of the best food cities in Europe, as well as an easy connection from Madrid or Barcelona. Most famous for its wines made withTempranillo grapes, the region is characterized by vineyard covered hills and medieval villages. Rioja wines have been produced for over 200 years and are protected by the oldest Designation of Origin in Spain, officially recognized in 1925. 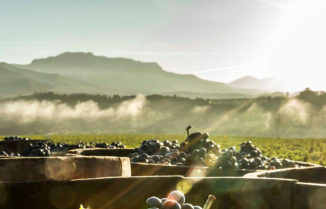 D.O.Ca Rioja, as the wine-producing region is known, is regulated by a governing body that oversees wine production and obliges winemakers to adhere to some of the strictest quality-control guidelines in the world. Rioja’s has the most acreage under vines of any wine region – more than 57,000 hectares (approximately 140,850acres) – yielding 250 million liters of wine annually. 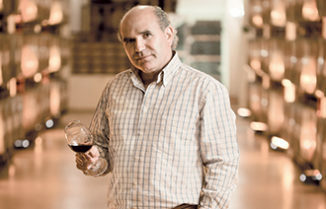 To learn more about RIOJA go to: http://us.riojawine.com/en/. On ABC’s hit primetime reality series The Bachelorette, one lucky woman is offered the chance to find true love. A single and eligible Bachelorette embarks on a romantic journey, getting to know a number of handsome men, gradually narrowing the field as she continues her search for her soul mate. At the end of this romantic voyage, if she has found the one, will there be a proposal — and will she say yes? Hosted by Chris Harrison, The Bachelorette is produced by Next Entertainment in association with Warner Horizon Television.